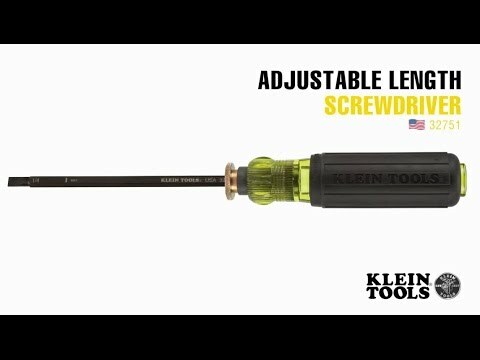 The Adjustable Length screwdriver handle securely holds a driver that adjusts within 4-Inch to 8-Inch (10 to 12 cm) for numerous length choices. The shaft is removable and reversible with a different tip on each end. Carry fewer tools with this versatile handle. A variety of blade types fit this handle.